The pleasure again of being featured in Satellite Magazine (Jay & Austin) and to get cover story and additional story (Josiah). Thanks to the creative teams and to William the Editor-In-Chief for having us. Click here to view <- Satellite Magazine, January-February 2013 Issue featuring “LEON”. Again, grateful to be featured in the awesome magazine “Satellite” , next to an amazing other artists and great content including, music, art and some great inserts. This specific issue is the Beauty Issue. 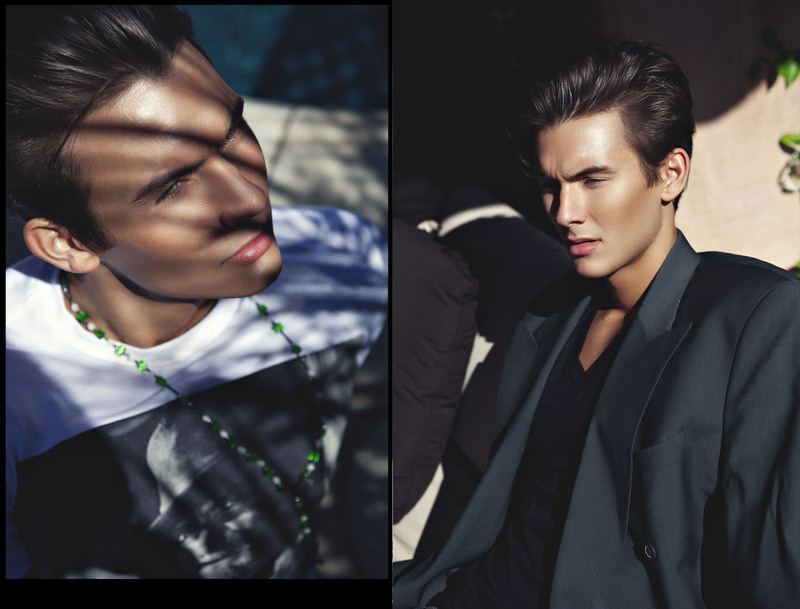 Model: Leon Fazzio @ Wilhelmina Models, Los Angeles. Models: Jay Hector, Asa Dyer and Jais Malcolm @ Wilhelmina Models, Los Angeles. Fun shoot with Wilhelmina guys, photographed mostly with natural light, and playing around with Medium format, 4X5 and 8X10 film cameras. One of my recent shoots a moment before i left California. While its pouring rain here in Paris i feel like have this little touch of summer light in my blog. Retouching by Yossef Atias, Israel. What is your favorite season of the year??? Dont hesitate to contact me for any question, feedback, or whatever else.